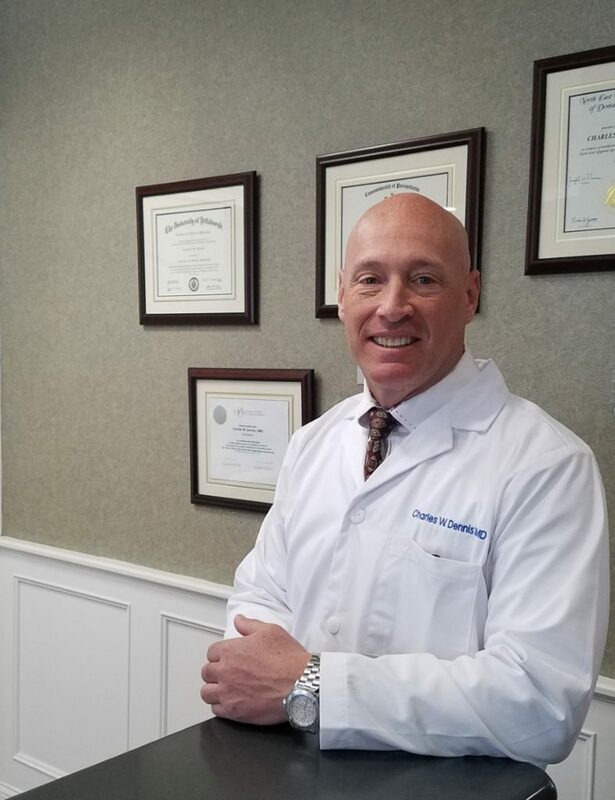 Dr. Dennis graduated from the University of Scranton in 1989 where he then continued his education and earned his dental degree in 1993 from the University of Pittsburg. He has been practicing family and cosmetic dentistry for nearly 20 years. In 2004, he opened his private practice, Abington Center for Cosmetic & Family Dentistry in Clarks Summit. Dr. Dennis is a member of the Pennsylvania Dental Association, American Academy of Cosmetic Dentistry, and the American Academy of Implantology. Dr. Dennis’s focus on lifelong learning and continuation of education allows him to master the latest advancements in both cosmetic and restorative dentistry. His confident personality delivers the benefit of state-of-the-art dentistry to our patients in the most relaxing manner possible. Dr. Dennis’s approach to dentistry is to provide excellent restorative dental care to his patients. In his free time, Dr. Dennis enjoys golfing and outdoor activities.